The facts surrounding yesterday's tragic accident are still being investigated by the Police and it is as yet unknown what may have caused the crash. Everyone's thoughts are with the families and loved ones of those killed and injured and following upon what happened at Christmas in Glasgow we are reminded of the utter devastation that can be caused when control is lost of a large heavy vehicle. Owners and operators of such vehicles have a duty to ensure that their vehicles are safe and roadworthy and that their drivers are fully trained and fit to drive them They must have a fully documented process in place to demonstrate, at short notice, not only the safety of the vehicle and the driver but also the compliant risk assessments for the operations undertaken. The prosecution for Corporate Manslaughter announced by the CPS last September concerning Baldwins Crane Hire Limited is called to mind following the death of their driver Lindsay Easton. On 15 August 2011, Mr Easton was driving a heavy crane down a steep road away from a Wind Farm at Scout Moor, Lancashire. During this journey, it is alleged that the brakes failed. The crane crashed into an earth bank and fell from the road. Detail of the charges states that Baldwins Crane Hire Limited on the 15th day of August 2011 being an organisation, namely a corporation, because of the way in which the organisation's activities were managed or organised, caused the death of a person, namely Lindsay Easton, contrary to section 1 of the Corporate Manslaughter and Corporate Homicide Act 2007. The trial of this case has not yet taken place but owners and operators of heavy goods and similar vehicles should aware of the scope for such prosecutions and the huge fines and severe penalties that can be imposed upon conviction. 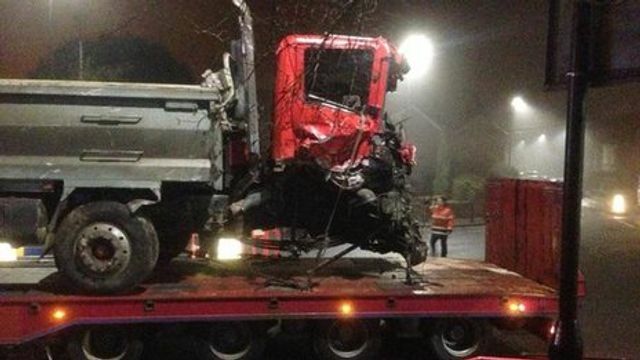 Investigations are continuing into a tipper truck crash in Bath that left a child and three adults dead. The truck also hit "a number of vehicles" and struck two pedestrians as it descended a steep hill on Lansdown Lane in Upper Weston, police said. Three people in a car and a young girl who was on foot died in the crash, the scene of which was sealed off. Police said early witness accounts "suggest the driver was trying to avert an accident". Four others were seriously injured in the crash, with one left in a critical condition. The lorry driver was also taken to hospital. The wreckage of the truck and a badly damaged car were removed from the scene early on Tuesday.